I'm usually not up this late bc I get up so early and the Haiti heat has a way if sucking the energy right out of ya. But tonight I am sitting up in bed, once again scared that Odessa's adoption may not go through. I went to Port au Prince this week to sign The last of the adoption papers to go into process here in Haiti. I was told everything was done. Today at 11 am our lawyer called and said that IBESR ( Children's Services in Haiti) would not accept it due to my age. 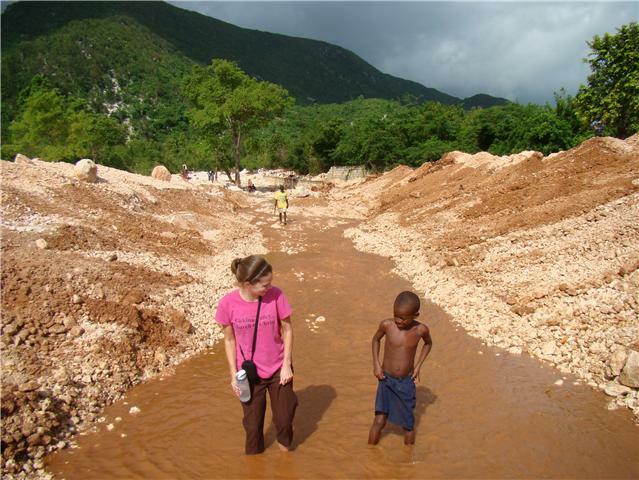 Current Haitian law says you have to be 35 years old to adopt in Haiti. I knew this but since word is the age law is changing next month, IBESR was going to accept our paperwork a little early. Haiti has accepted the Hague Convention (which is set to go into affect Monday). So my paperwork needs to be turned in by tomorrow. As I am not eligible to adopt Odessa under those laws. However, they don't want to accept it based on my age. This makes Odessa's adoption impossible. I have been waiting to be eligible age wise under Haitian law. Now another law is being put into place before I get the chance to be that age. So tonight my head is pounding from trying to comb through laws and make phone calls trying to find a sympathetic ear. On May 8, 2010 I became Odessa's mommy in my heart and hers. I have kissed all her boo boo's, went to all her preschool parent teacher meetings, made sure she gets good food in a country full of malnourished people and read her bedtime stories every night. She has brought out the momma bear in me I never knew existed, given me many more grey hairs than I already had, and melted my heart Everytime she puts her arms around my neck. So tonight I made her peanut butter sandwich a little slower, let her play in the bubbles a little longer and rocked her long after she fell asleep. Made by the same people who have told me to wait until I meet the requirements to adopt in Haiti. The same people who gave me guardianship 28 months ago. So please be praying with us tomorrow. Bigger than mountains and oceans. Bigger than adoption laws and governments.